Moving to Colombia was a leap in the deep end for Viktoria, both figuratively and literally. 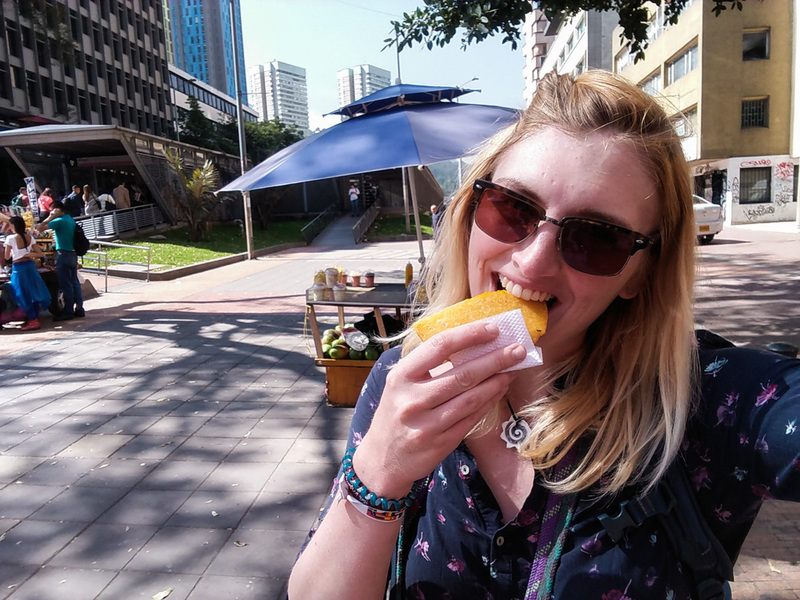 The Austrian travel blogger and dive enthusiasts has found herself living in Colombia thanks to a study abroad program. She’s about to leave the country, but not without one last big adventure. Let us know a little about yourself and how you ended up living in Colombia? I’m Viktoria, 24, an enthusiastic diver and travel blogger that loves to explore and spend time outdoors. I’m a true bookworm and there’s no place too crowded to enjoy a good book (well, maybe rush hour in the Transmilenio). Thanks to my study programme in Austria I had to chose a place to study abroad for one semester. I knew from the very beginning that I wanted to be in Colombia. What were your first impressions of Colombia? And did they match your expectations? I remember flying into Bogotá as it was yesterday. I was stunned by the green fields, the cows and the mountains East of Bogotá. I’m addicted to nature and I need to be outdoors a lot of time. Seeing all of this made my heart jump and I knew instantly Colombia was the right choice for me. You have a blog called Chronic Wanderlust. What is it all about and what inspired you to create it? My blog was born when I lived in Spain. It took me a while to figure out what I wanted it to be about. Today I’m confident to say that it’s a dive and travel blog with the ambition to inspire others to travel, encourage them to dive – so that they don’t just fantasise about an incredible live, but live it! What’s your favourite Colombian plato tipico? What’s one of the more challenging aspects of living in Colombia? Luckily it’s not the language anymore, but sometimes I’m astonished how many synonyms exist in Colombia. Otherwise, I struggle a lot with small talk – I have to admit that I hate it. I feel that many just see the foreigner in me and ask the same questions over and over again, and only scratch the surface of who I am. Being reduced to being just another foreigner and not somebody with a whole life and being more of just a 24-year-old Austrian living in Colombia, it bothers me (as you can tell haha). Venezuelan-style with queso costeño, avocado and fried egg. What has been one of your favourite destinations in Colombia and why? I loved the Coffee Region, and I don’t even like coffee. It was the mix of nature, shades of greens, quietness and the colourful houses that made me fall for it! As for diving I really enjoyed Providencia, the clear waters and the chilled, amazingly friendly people. Do you have any tips or advice for people wanting to follow their travel dreams to Colombia? Bring sunscreen and a rain jacket. Thank me later! How can people find out more about you and follow your projects? Feel free to stalk me on social media and of course my blog. I have an exciting project coming up this summer: I’ll return to Austria without using a single plane. I’m going to take a freighter from Costa Rica to the Netherlands. I actively decided to take this journey and not a plane to spend some time offline. As a blogger I spend most of my time online and I need to disconnect – and I found that this would be the perfect opportunity – also that there isn’t any internet on the boat (or verrrryy expensive and slow). You can read more about Viktoria and her travels on her blog, Chronic Wanderlust, or take a look at her Instagram, Twitter or Facebook accounts. Are you an expat in Colombia, or perhaps a Colombian abroad? Get in touch and let us know about your story. Well Colombia has many wild forest and beaches that nature lover can visit.